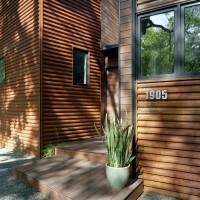 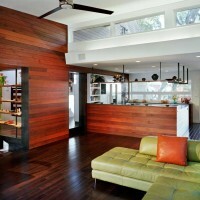 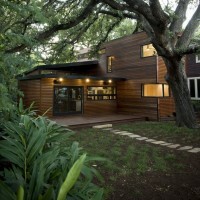 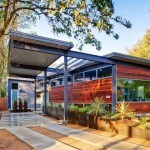 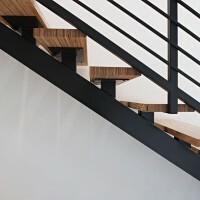 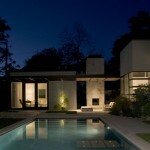 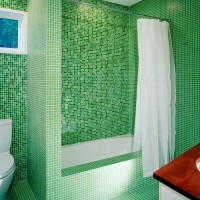 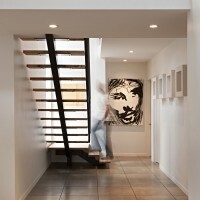 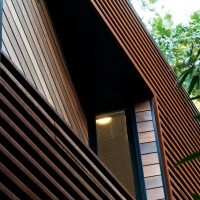 American architect Chris Cobb has designed the Eva Street Residence in Austin, Texas. 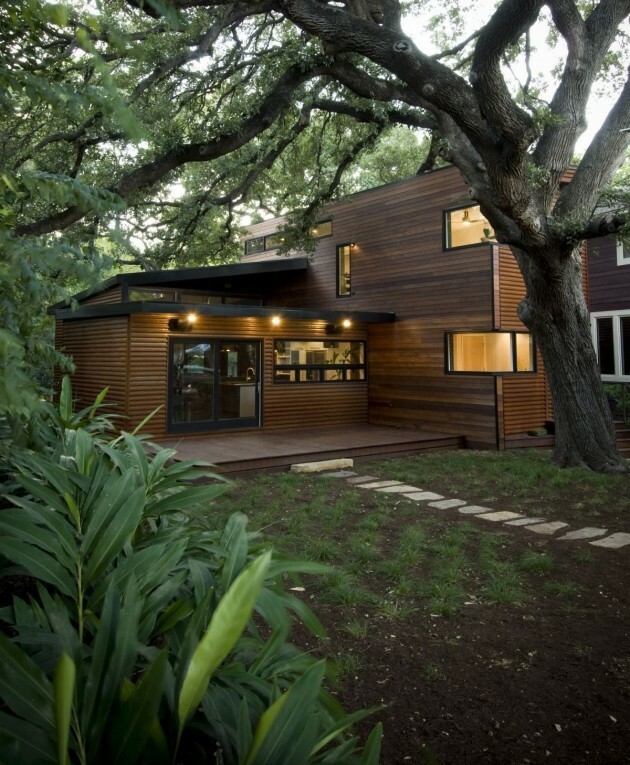 Located on an urban infill lot in South Central Austin, the site’s biggest challenge was also one of its greatest’s assets, a gorgeous 150+ year old live oak that stood directly in the center of the build-able section of the property. 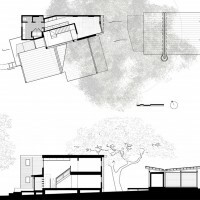 The design arose from the need to build in relation to the tree and to investigate whether an urban home can achieve some of the spatial dynamics of the tree: sheltering the family without sealing them off from their surroundings. 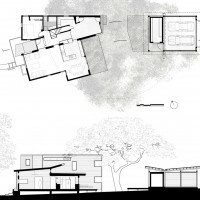 The solution was to create a taut multi-storied volume that features a dynamic interplay of different heights that engage and interact with the tree, tucking under and within the canopies that are defined by its outreaching branches. 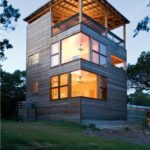 The house is clad in Brazilian Redwood siding and corrugated weathering steel, which adds scale, texture, and a melding of the house with its surrounding landscape while at the same time softening the sharp, crisp geometry of the structure. 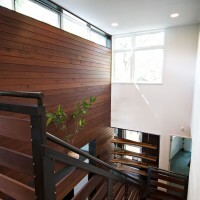 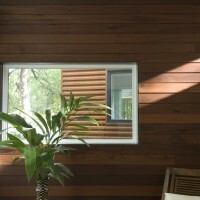 The wood cladding extends into the interior of the house, which is also defined by dark chocolate bamboo floors, crisp white walls, meticulous custom made cabinets, and clean detailing. 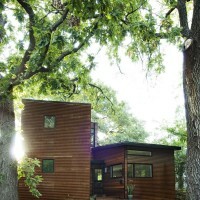 Visit the Chris Cobb : Office of Architecture website – here.